Kale is all the rage these days I swear. 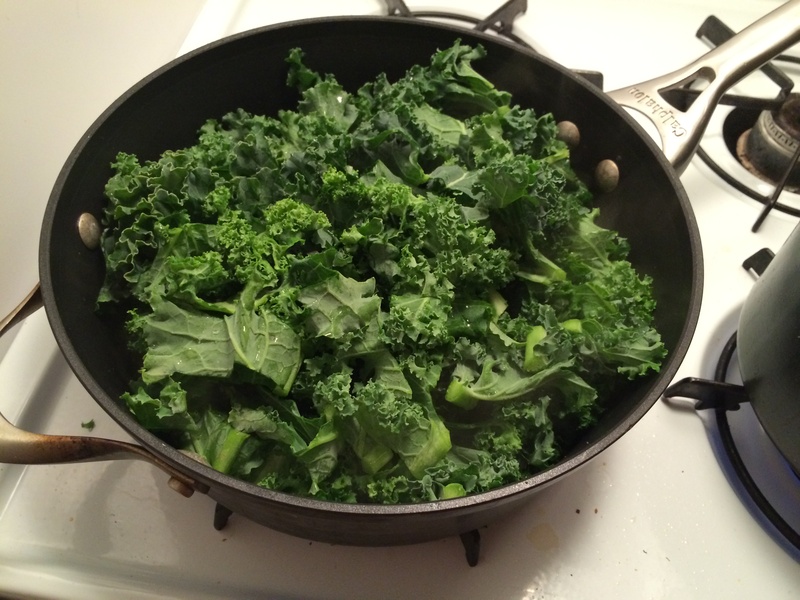 Everywhere I turn, someone is talking about “Super food Kale!” Maybe I’m late to the party and it’s possible that I missed the boat– but I’m surely one of the last people to start cooking kale. It took me a while to figure out how exactly I like this green veggie– and I admit the simpler the better works for me. 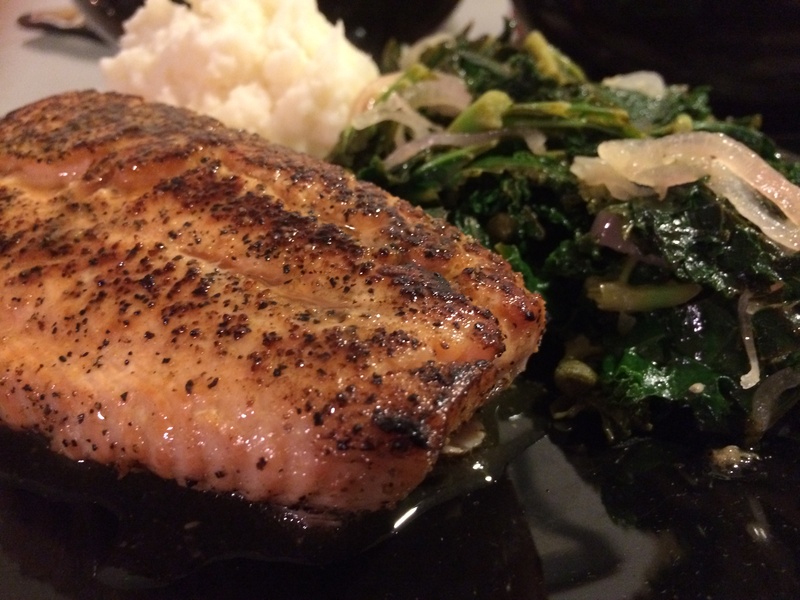 Here’s a recipe for Lemon Garlic Salmon sauteed with Kale. It’s one of my favorite dinners to cook post workout since it’s extremely easy and flavorful. Enjoy! Add Salmon when the oil is really hot. Cook for about 15minutes or until your salmon is cooked to the temperature that you want. I like my salmon medium-well. If you like it rarer—Cook for less time. Tip: Add olive oil and a bit of water to baking tray as you place the salmon into the oven. 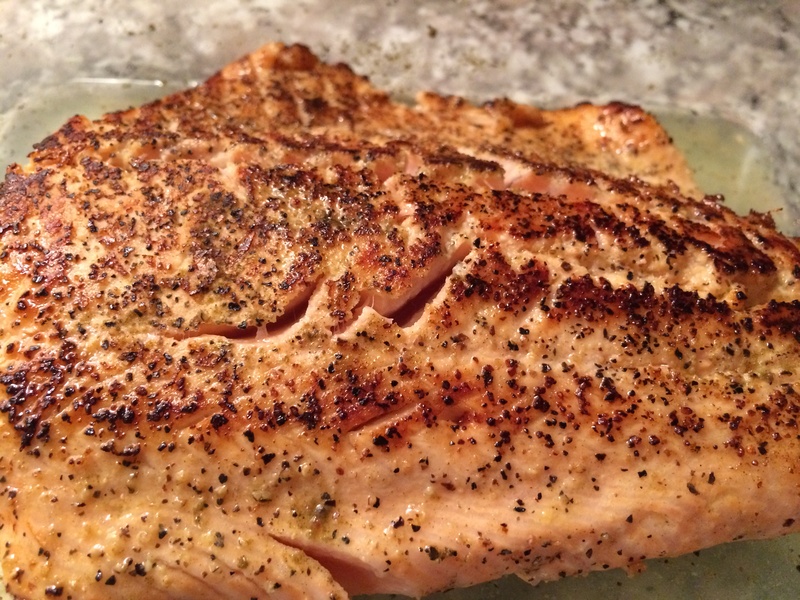 This way you can baste your salmon every few minutes with the lemon-garlic juice you created. This allows for your salmon to be moist. Tip: Everyone likes their kale differently. 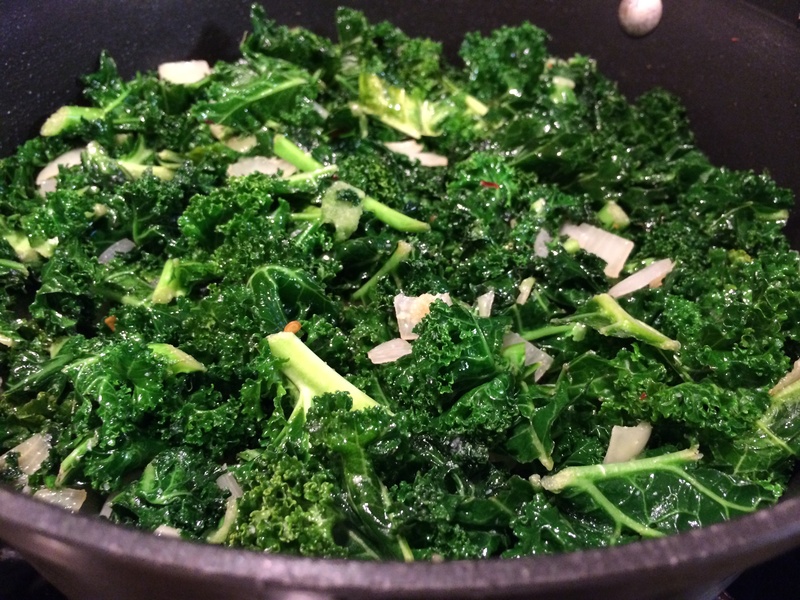 Kale lends itself to bold flavors, so don’t be afraid to add red pepper flakes, garlic, tomatoes, and even ginger! Play around for the tenderness as well. I like my vegetables on the firmer side, you may like it softer but you won’t know until you try it.